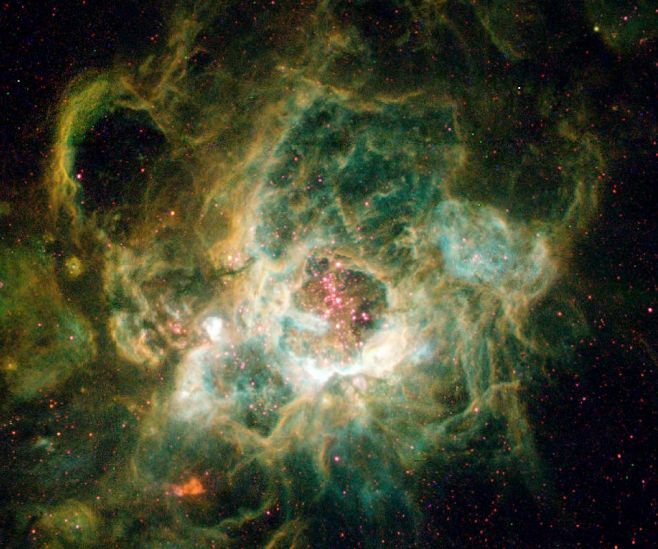 The first children to whom she gave birth were great, beautiful magellanic clouds of stardust. Material from these clouds spun out - swirling, glowing, spiraling - finally coalescing into stars which were clustered together in great star-swirls called galaxies, In time, stars gave birth to comets, planets, and other celestial objects. And this process continues to this day, because creation is an ongoing process. Stars are always being born, growing and glowing, giving birth to their progeny, living out their brilliant, starry lives, and eventually, as with all things material, coming to their end and dying. 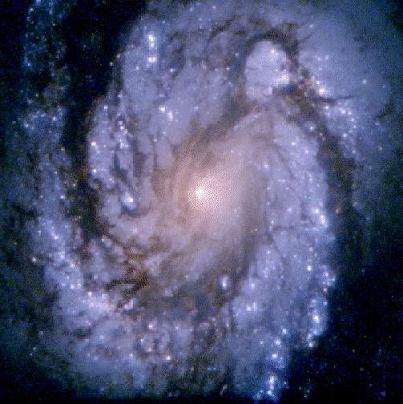 Among Star Mother's many star children was one special star that lived in one very special beautiful, spiral galaxy. This star had given birth to several planets, but, one, in particular - a beautiful, blue green, watery planet - was perfectly positioned in its distance from its fiery parent to develop just the right conditions for a specific type of life to arise. 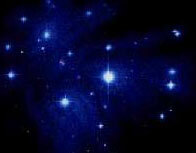 This special star and her star sisters and brothers reached out --- their long arms streaming forth light and energy. They enveloped and embraced the special planet - Earth - with their lightning-flashing, star-sparkling arms of light. And in a flash the body of the Earth responded to this embrace, and life forms were sparkled into being as the beams of star-fire touched the surface and reached down deeply into the heart of Earth. Fire, Air, Water, Earth -- one by one the Elements came into being on the Earth. They began dancing in the sheer joy of existence! Life -- life is everywhere in the universe! Beings floated to the Earth on comet tails, they came in on the space winds, and the solar winds - the starchildren, tiny living beings of all kinds - water vapors, gaseous vapors, starsparks - speeding through space in their tiny arks of metallic ores, vapors, and stardust. From the Dance of the Elements and the Streaming of Stars came forth many creatures on the Earth, including, eventually, humanity. And remembering that all had come from their mother, they named their mother star Sun, and their home galaxy - the star streaming that had been their pathway and nourishment - the Milky Way. But the people remembered that their Great Mother was the mother beyond their dear Sun, their Mother Sea, and their dearly loved Mother Earth --- and that she was indeed, the great vast deeps of star-sparkled space --- Old Night, Dame Dark, Mother Night. Great Vast Sky, the Mother Earth, and the Dark Goddess who lived deep within the planet's body.